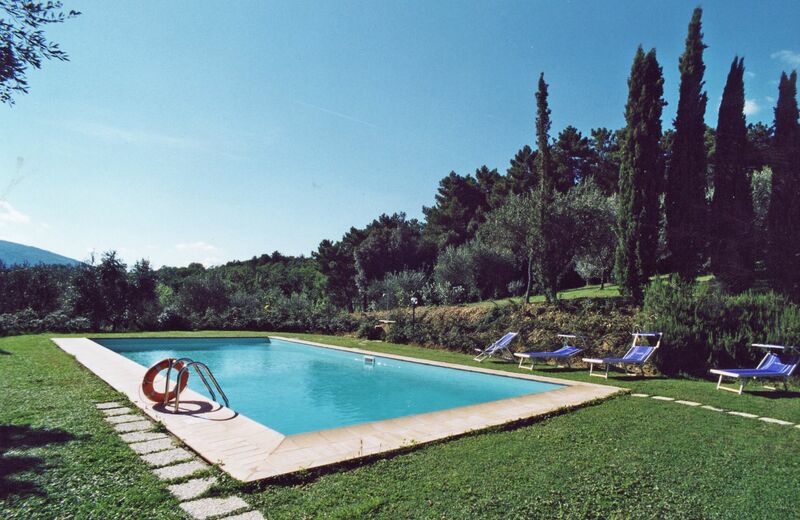 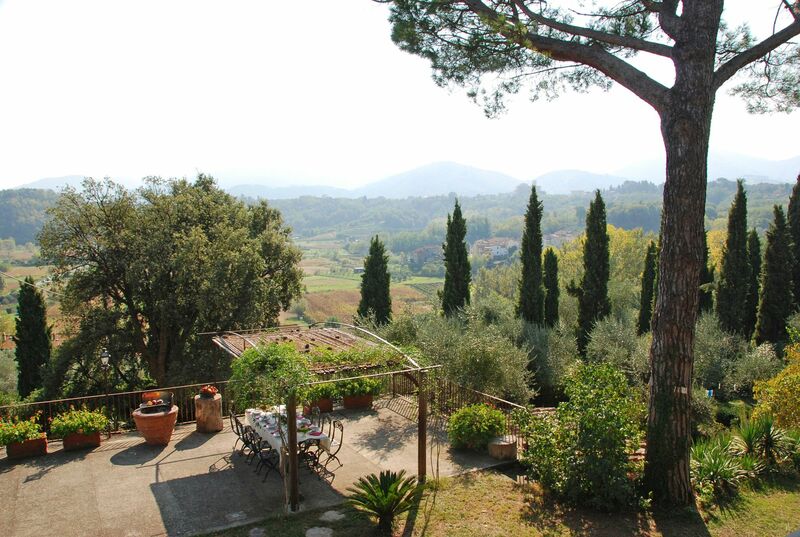 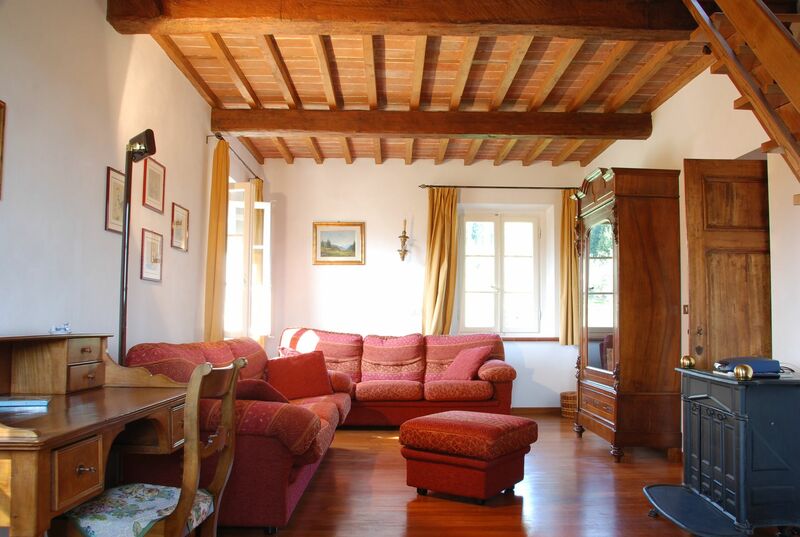 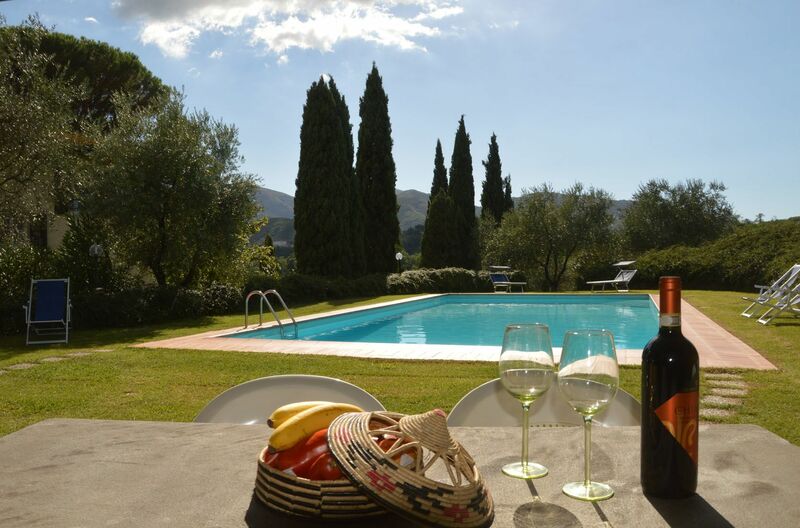 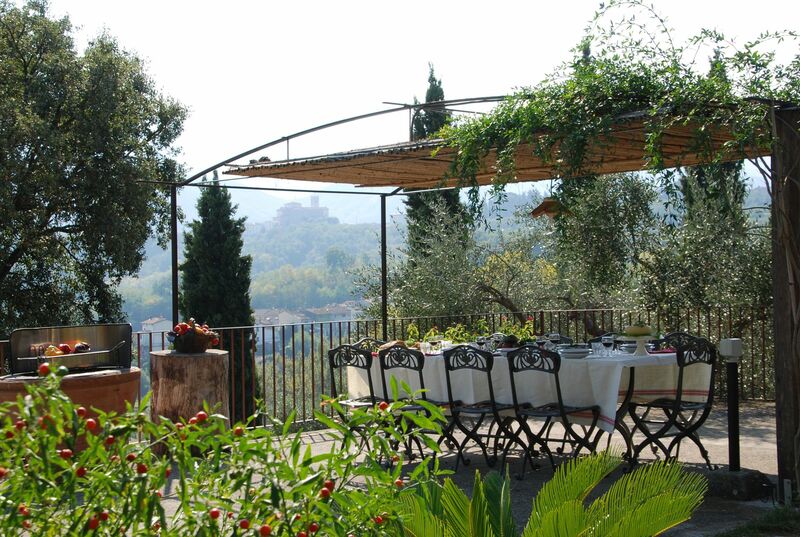 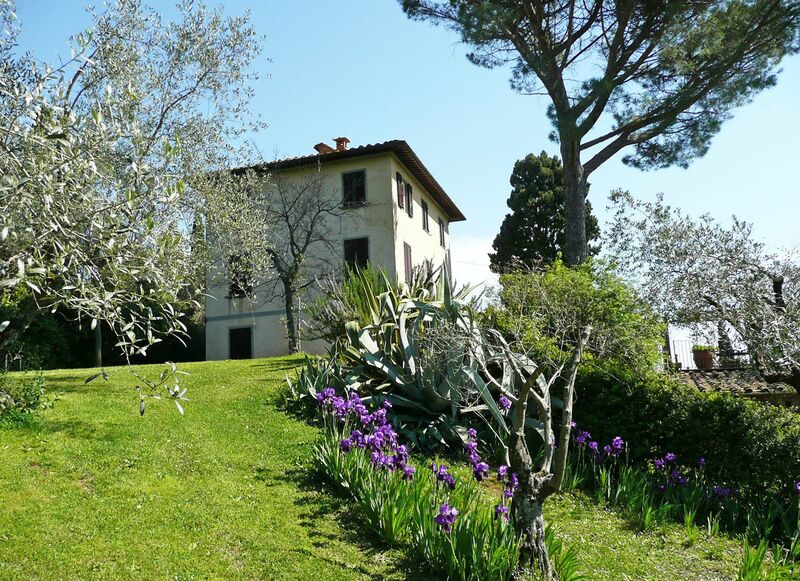 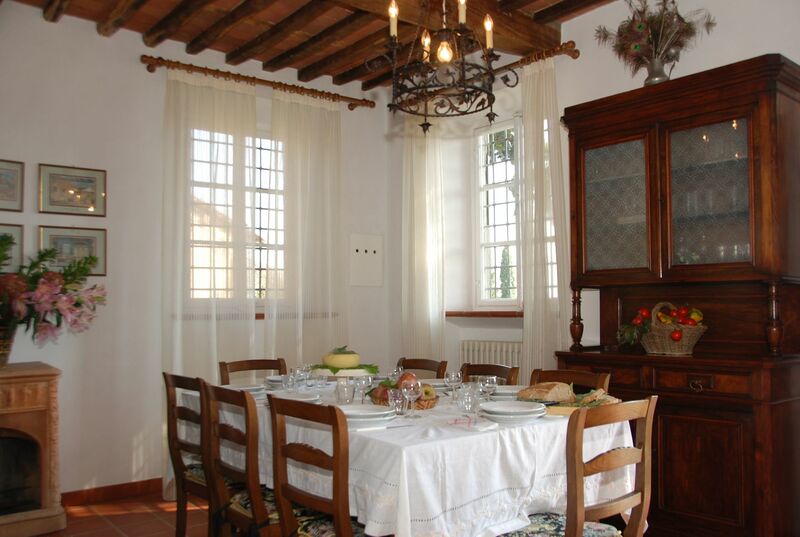 This villa with private pool set in the hills south-east of Lucca is an ideal retreat for families' summer vacation. 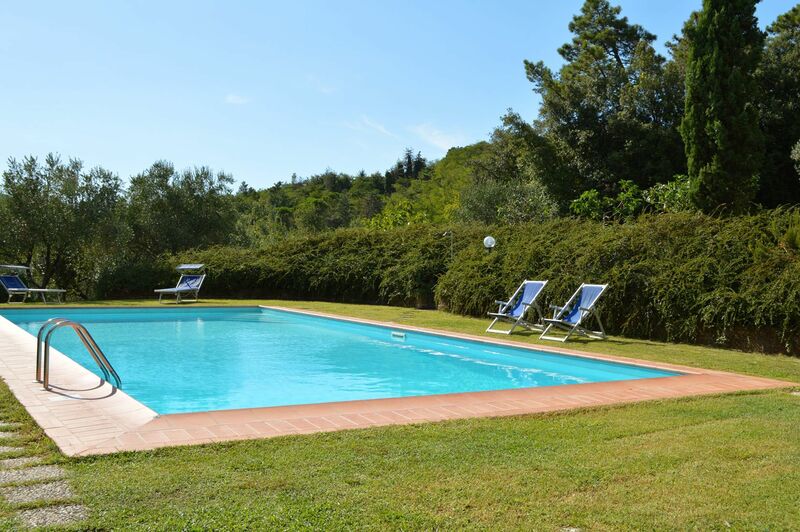 The swimming pool is located in the flat garden at the back of the house, the shaded area at the pool is convenient for parents who would like to watch their children swimming as well as to al-fresco meals during the day. 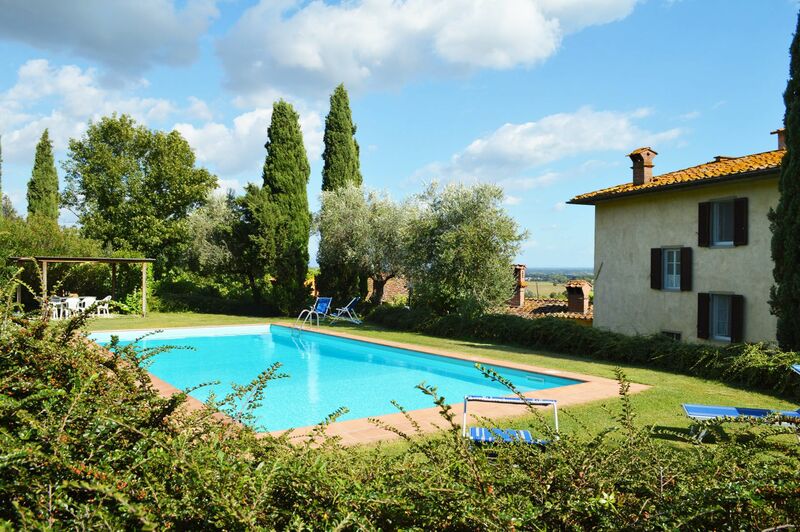 A particular feature of this property is the panoramic terrace facing the front side of the villa, furnished for al-fresco dining, where past guests particularly appreciated to dine and to spend their time here enjoying stunning views on the surrounding countryside. 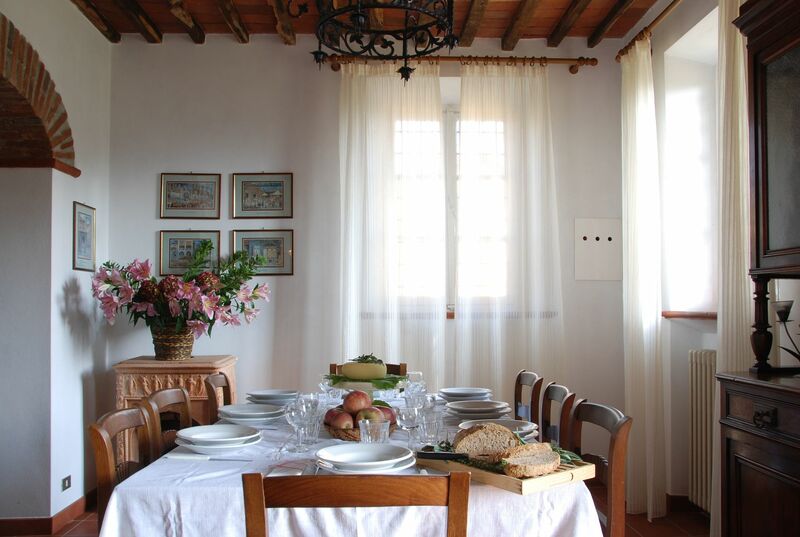 The house is ideal for two families travelling together but looking to retain their privacy. 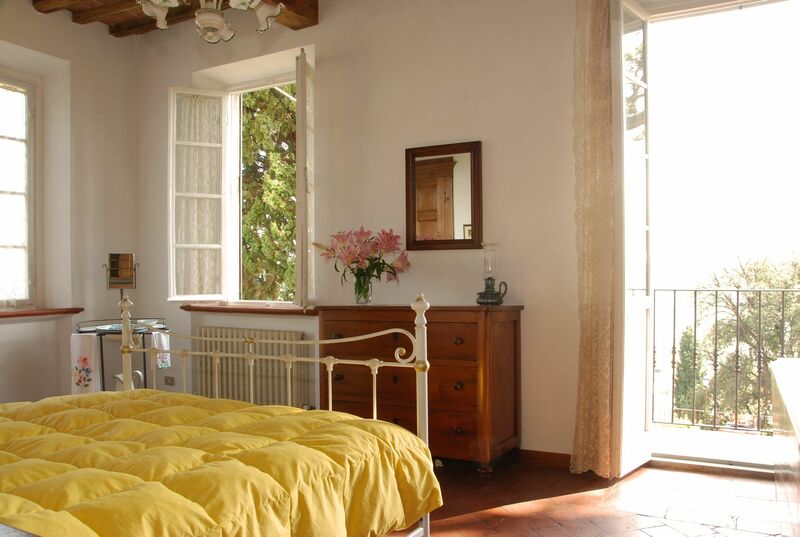 Al Fanucchi develops over three floors; on the first floor there are three double bedrooms and two bathrooms while on the second floor there is a double bedroom and a twin bedroom sharing a bathroom. 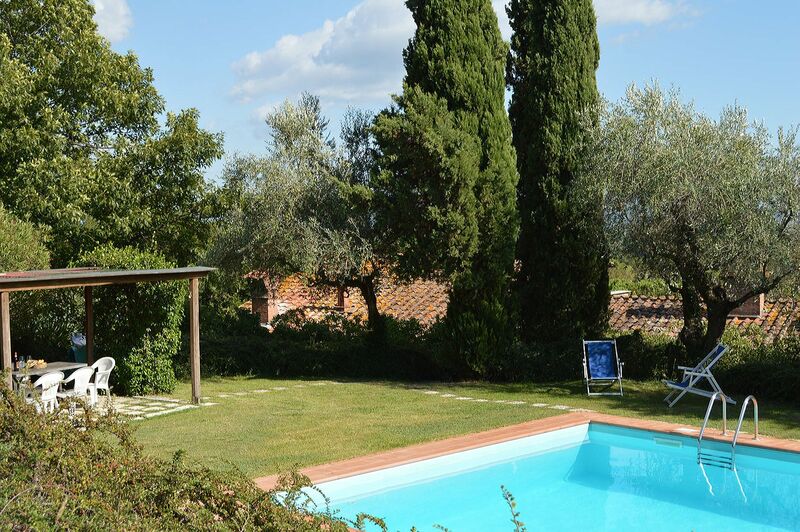 The owners live close by; they are an extremely nice and friendly couple who in no way interfere with client's privacy jet at the same time are always available to assist them in their needs. 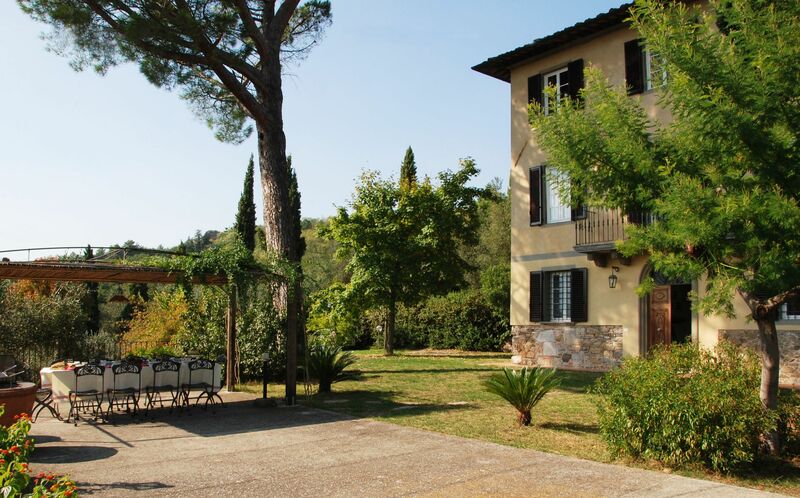 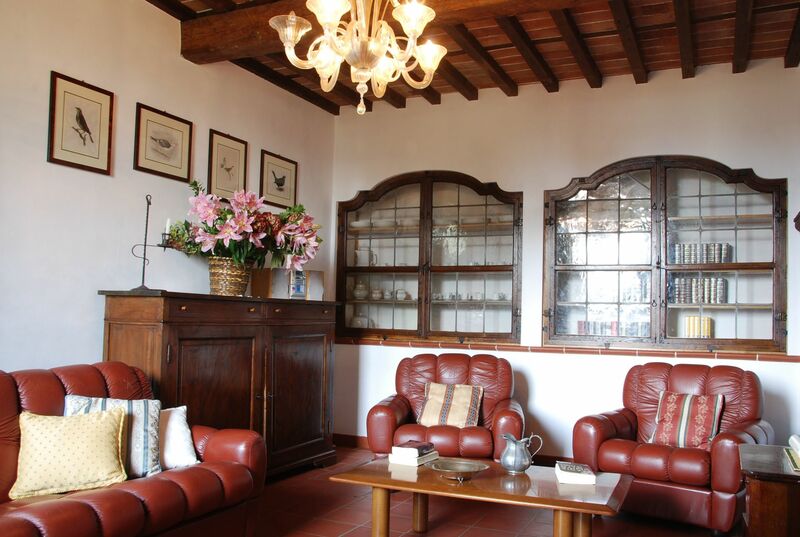 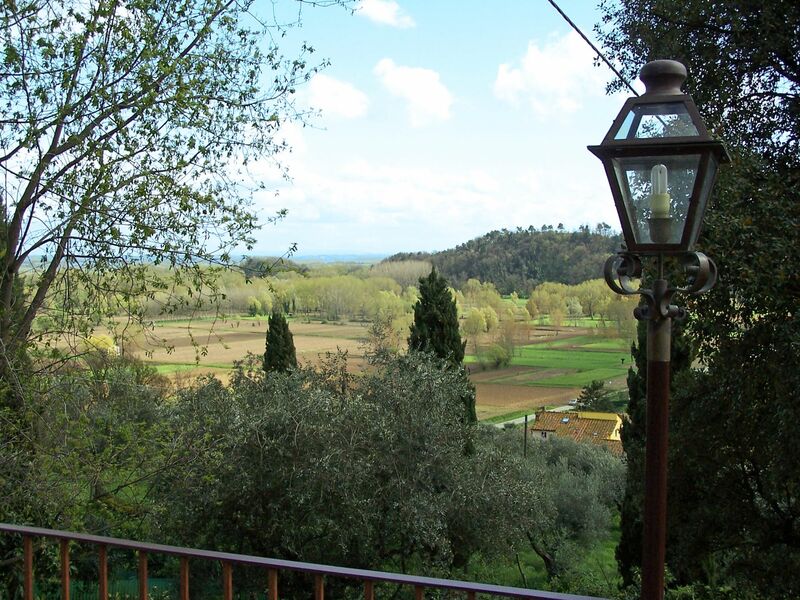 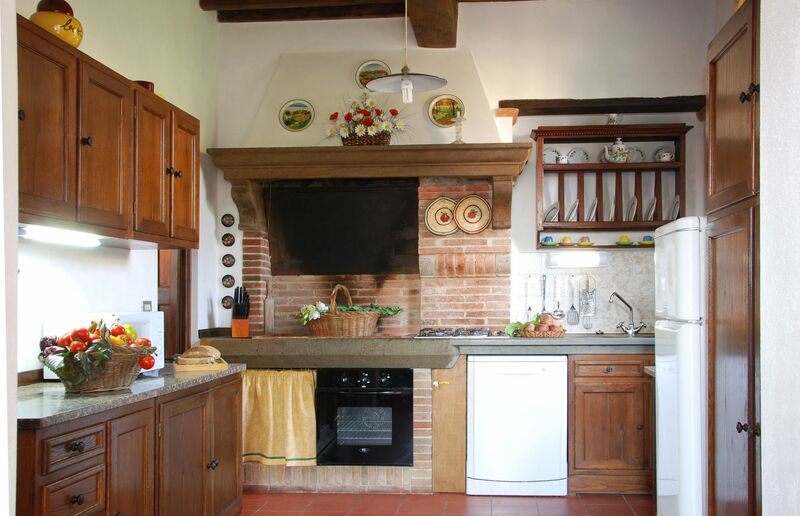 The location of the house, just 10 km away from Lucca and 6km from the closest motorway exit, enables guests to easily sightseeing this part of Tuscany. 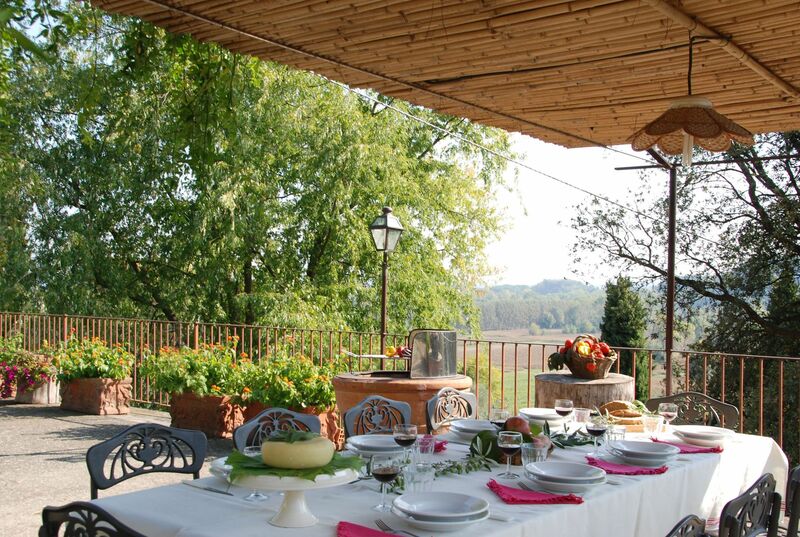 Furthermore, Al Fanucchi is very close by the village of San Leonardo in Treponzio (3.5km) where guests can find shops and restaurants. 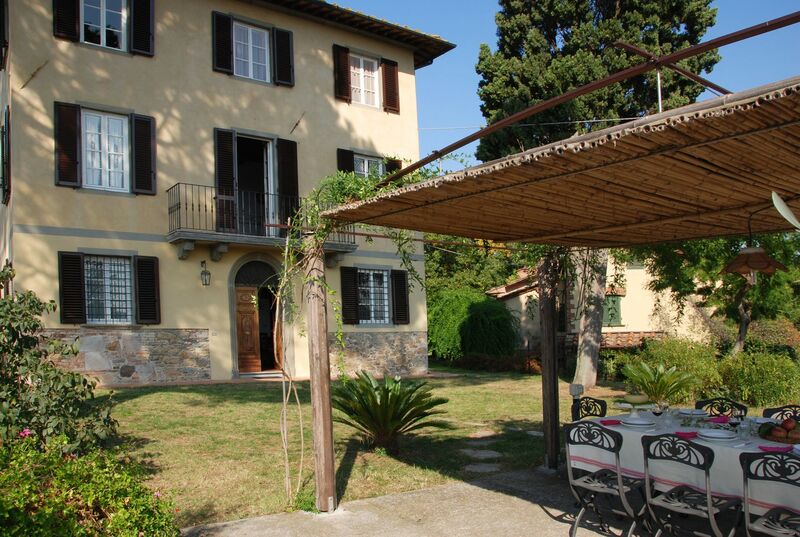 Entrance; kitchen/dining room opening onto the garden and terrace, furnished for eating outside; sitting room; bathroom (shower). 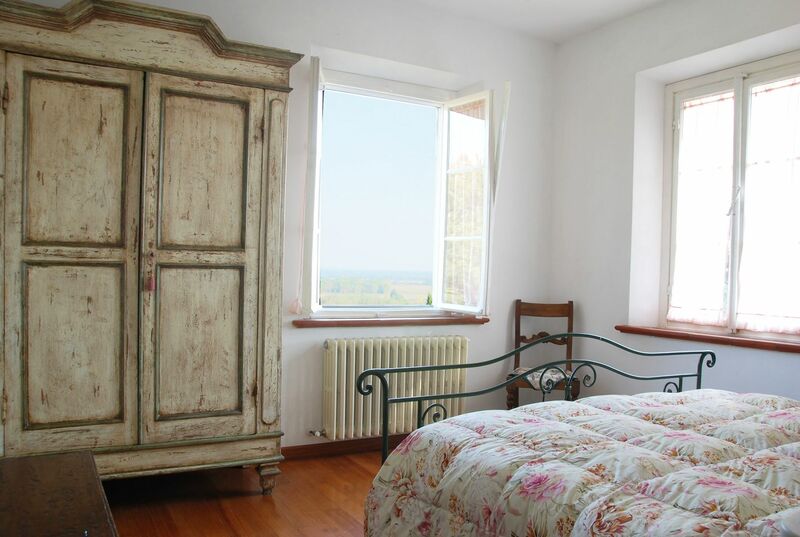 3 Double bedrooms; 2 bathrooms (shower). 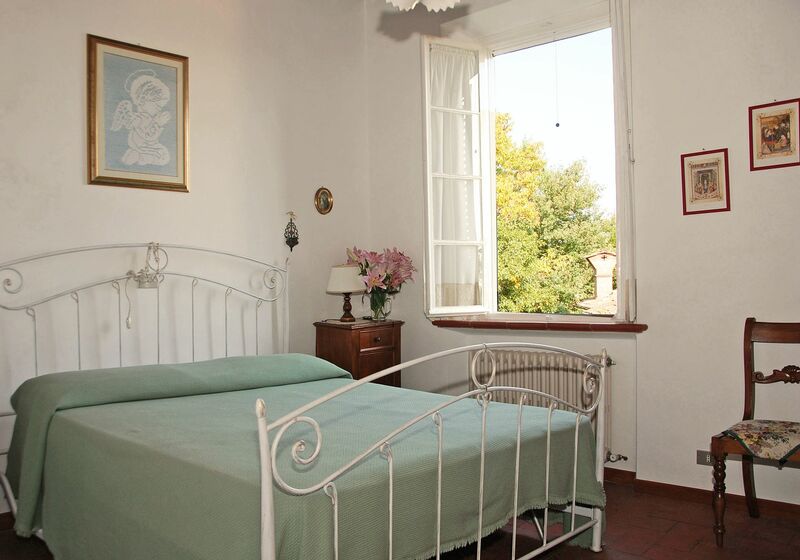 Sitting room with stairs leading to a small roof terrace; twin bedroom; double bedroom; bathroom (shower).